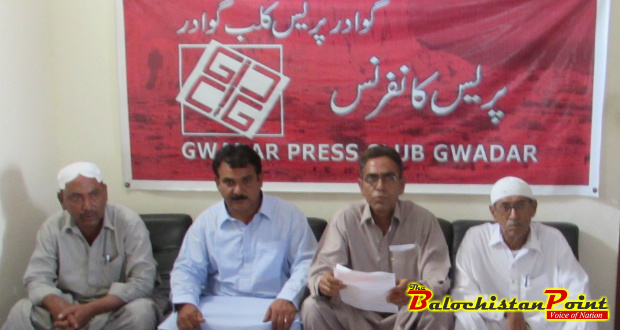 Gwadar – National Party (NP) representatives and the Chairman of the Iranian-bordering town Jewani have condemned Balochistan government for 21 hours load shedding and water crisis in Jewani during a press conference in Gwadar Press Club, this Sunday. “Now when the price of diesel has dropped, the hours of load shedding needed to be reduced but instead they have been increased to up to 21 hours,” lamented NP representative. 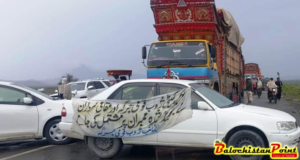 NP leaders complained that even the provincial government has no control over the untamed bureaucracy of QESCO officers who have obstructed life of common citizens in Jewani from several months. They accused their party chairman the Chief Minister Balochistan Dr. Malik for prioritizing inconsequential activities during his two official visits to Gwadar in the past two and half years where as the major issues were left unnoticed. “Today the citizens of Jewani and Pasni are left with crisis of drinking water, a very basic right. Even we, the ruling party members are totally unable and powerless to solve the water crisis issue in both towns whilst there’s no support by the central committee of our party,” uttered a National Party member. They asserted that the members of National Party got 35% of the total votes during the local elections in Jewani but due to their failure to solve a single issue the same representatives are seen with disgust today by the citizens and the ruling party has entirely lost its political clout in the region. 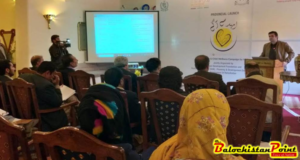 The representatives of the National Party from Jewani warned that the failure of provincial government and National Party to solve the issues of water crisis and load shedding will directly have negative impacts on the party and no empathy will later make any difference.